A nuclear institute in Central China called for more publicity to increase public awareness about nuclear safety after its new project triggered concern among residents. Jin Ming, deputy head of the 230 Institute, a Changsha-based research body affiliated with China National Nuclear Cooperation, said he was quite surprised with the public attention received by a new compound the institute planned to build in Hanpu township, Changsha, the Science and Technology Daily reported on Friday. The institute is involved in uranium exploration, a material used for nuclear weapons, energy, geological research and offers sample testing services for radionuclide. As the new project sits close to two universities and a residential compound and has the word "nuclear" in its name, it "triggered wide concern from residents," said the newspaper. Information on "wide concern" could be easily found on open platforms. Sina Weibo user named "Youya Qifeng," who said she lives a kilometer from the new location, wrote on January 4 that she was quite worried about the project's impact on environment and human health. 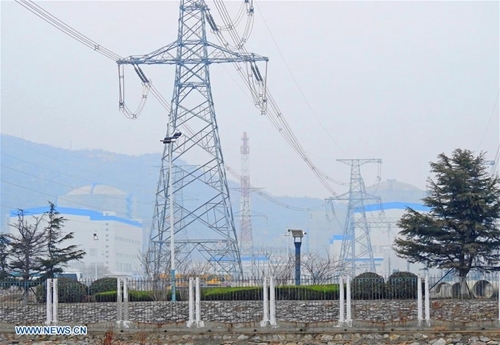 According to a letter delivered to the government of Changsha on December 26, an anonymous citizen said that there is concern among Hanpu residents over uranium radiation. Hanpu has nearly 30,000 residents and sits around 7 kilometers from the Xiangjiang River, a branch of the Yangtze River. In a reply, the city government suggested residents apply for disclosure of the environmental impact assessment report of the project, saying "they should trust the government." An environmental impact assessment report finalized in September 2018 concluded that noise, impact of vibration and dust are the major pollutants from the project, Zhong Zhixian, a staffer of the institute, told the Global Times on Friday. The pollutants will not damage the environment as their emission would be controlled and the institute will take disposal measures, said Zhong. According to Zhong, the institute also invited residents earlier this month to pay a visit, during which they were told that the project is safe. Jin told the Science and Technology Daily that the institute is capable of testing over 1,000 kinds of samples such as gold, silver, copper, soil, water, air and cultural products. The institute does not test any samples from nuclear facilities or waste that may emit raditaion, said Jin. The testing of uranium ore is very limited and the radiation will not affect human health, said Jin. The disposal of samples strictly follows industry regulations and environmental requirements, Jin said. As a result of insufficient publicity, the public's knowledge about the nuclear industry is very limited and many of them still feel "scared" when they hear the word "nuclear," said Zhong. More communication dissemination is needed as the public's knowledge and support are crucial to China's nuclear development, said the newspaper. The Changsha institute's project is the latest amid several nuclear-related projects that have triggered wide attention as many are not familiar with such projects. In June 2016, thousands of residents staged a protest against a nuclear fuel recycling project that was being launched in Lianyungang, East China's Jiangsu Province. Amid tensions in the Korean Peninsula in December 2017, a report in Jilin Daily, a newspaper from Northeast China's Jilin Province that borders North Korea and Russia, attracted wide attention and speculation after reporting on how to protect oneself from nuclear weapons.